Since beginning his legal career, whether working in-house or in private practice, Brian has always worked in a smaller, tight-knit, collaborative work environment. After gaining experience at several small firms in Columbus as a litigation associate and focusing his practice in areas from General Business to Consumer Litigation, Brian started his own firm in June of 2007 and shortly thereafter began to work as the General Counsel for a real estate developer in Columbus, Ohio. After almost three years in-house on January 1, 2010, Brian focused all of his attention to the expansion of his own firm, Kooperman Law Offices, LLC with his practice consisting mainly of representing Landlords, Tenants, Buyers, and Sellers in commercial real estate transactions. 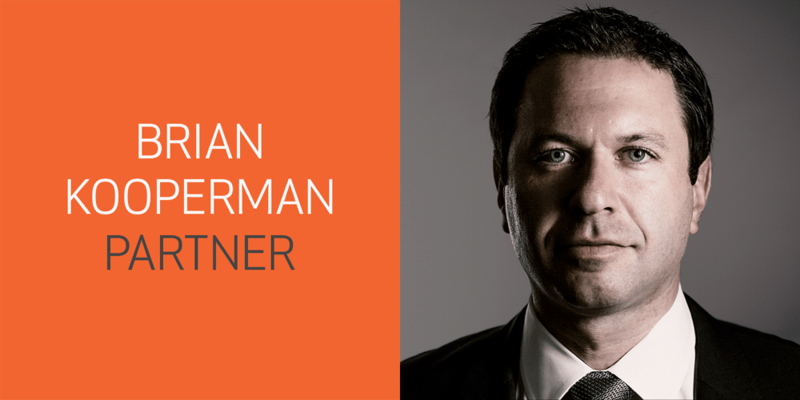 Over the next several years, Brian expanded his real estate and general counsel practice as the principal of a continually evolving boutique law firm which as of April 15, 2016 is now Kooperman Mentel Ferguson Yaross, Ltd.
80% of Brian’s work is now focused on commercial real estate transactions including acquisitions and dispositions, commercial leasing and joint ventures. In last three years representing the interests of buyers or investors, Brian closed over $1.4 billion in real estate acquisitions in 9 different states and in various different sectors of the real estate industry including multi-family (market rate and student-housing), office, industrial, retail, and raw land. Brian also represents multiple companies on a general counsel basis advising and consulting in relation to contracts, entity selection, strategic asset protection, corporate structuring, operations, employment, and every day business decisions. Brian still remains involved in KMFY’s litigation practice group. Brian’s training and background as a litigator has helped shape his preparation, approach and advice to his real estate and general practice clients by providing more practical and common sense solutions based upon his previous experience and perspective.